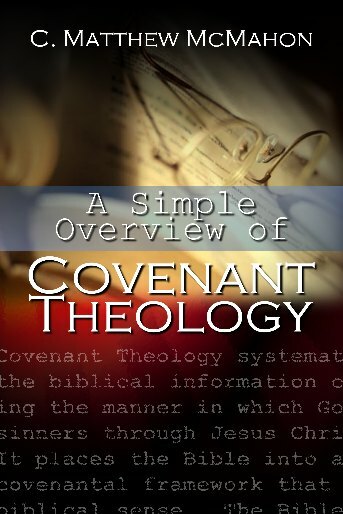 This information is a summary form of Robertson’s book for those who would like an oversimplification of Covenant Theology, though there is some very helpful information about basic covenant concepts. The Scriptures express the nature of divine covenants as a necessary part of intelligently comprehending God’s redemptive work in human history. Divine covenants contain a clear and lasting significance as to their importance in the manner in which God redeems men. A covenant is “a bond in blood sovereignly administered by God.” It is a bond that binds people together. It is a bond of life and death in blood demonstrating the ultimacy of the act of “covenanting.” It is a bond that is sovereignly administered by God that disregards human bartering or contracting that regularly characterizes the manner in which fallen men attempt to merit salvation. Covenants are not continually mentioned by the word “covenant” in Scripture. For instance, there is no mention of the word “covenant” before Genesis 6:18, but there is ample Scriptural and theological evidence for a covenant based on the analogy of faith during those chapters in various circumstances, both with Adam and with the New Covenant echoed in Genesis 3:15. Covenantal relationships are clearly present though covenantal terms may be absent. For instance, creation is covenantal, as Jeremiah 33:20-26 asserts, but in the creation narrative there is no mention of “covenant.” Hosea 6:7 also demonstrates that Adam was in covenant with God though the passages concerning his creation and placement in the Garden of Eden does not mention “covenant” as a term. Thus, covenantal concepts do not have to utilize covenantal terms in order to convey those covenantal realities. As Scripture demonstrates a series of covenantal relationships through redemptive history, the student comes to understand that the covenants made with Noah, Abraham, Moses, David and the New Covenant remain in perfect unity both in structure and theme. There is a structural unity that is perceived in these covenants as previous covenant administrations are built upon by later covenants, rather than replacing them. Covenantal inaugurations demonstrate this, such as with the case of Abraham and his covenant extending to God’s purposes with Israel in their covenantal expressions. The genealogical realities in covenantal succession with Abraham , Moses and David demonstrate not that they are different covenants, but that they are successive of one divine covenant. Even in the fulfillment of the New covenant in Christ, past covenants are referred to in order to demonstrate the continuity, not discontinuity, of those divine employments. One must also consider the thematic unity of the covenants in recognition to the manner in which God relates to his people. God does not have a plan “a” in covenant “one” and a plan “b” in covenant “two.” Rather, the New Covenant is the fulfillment of the one covenant demonstrated in its progressive stages through redemptive history. God will be a God to His people, and this will never change. Saving these people (the elect) through Jesus Christ is the single unifying theme that transcends all the covenant expressions. Though there is unity in the covenants, duplication of the same material over and over again by divine revelation is not given. Each covenant builds and progresses in their respective applications. That does not mean the former covenants are annulled, rather, it means that the continuity is established in their respective administrations of divine revelation. There is a parallel between the Covenant of Redemption (pre-creation) that the Trinity engages in, and the post creation Covenant of Grace that demonstrates salvation to men in time. There is also the distinction in comparing time related covenant expressions – such as with the Covenant of Works and a Covenant of Grace. The Covenant of Works is applied to man before the fall, in his probation period to uphold the Law covenant of God. The Covenant of Grace is used to describe the relationship of God to fallen individuals in order to redeem His elect and to punish the wicked who reject the covenant stipulations. There are also concepts designating a difference between the Old Covenant and the New Covenant. This shows the diversity between the time before Christ came and the time subsequent to His coming. In seeing their diversity based on divine revelation, the following order may be helpful: Adam – the covenant of commencement; Noah – the covenant of preservation; Abraham – the covenant of promise; Moses – the covenant of law; David – the covenant of the kingdom; and Christ – the covenant of consummation. The original covenant between God and man may be termed the Covenant of Creation. This focuses on the relationship between man and God as his Creator. It is seen explicitly in the pattern of the Sabbath and the blessed day that Adam was to enjoy as a result of the Sabbath instituted by God in working six days and resting one day (a divine pattern for all men for all time). This Sabbath rest is subsequently seen through the remainder of redemptive history, culminating in the work of Christ resting in His resurrection in the completion of His work given to Him of the Father and mimicking the pattern set down by God in creation. Marriage is also seen in this Creation Covenant as a mark of the further redemptive mystery of Christ and His church. Adam failed in keeping the Covenant at this time in his period of probation, failing to uphold the focal point of the Covenant – obedience to God’s law. As a result of his transgression, Christ must penetrate time to redeem men that He may restore them back into fellowship with their God; this time not only as Creator, but also as Savior. In a more focal aspect to the Covenant of Creation, God sets up Adam in a probation period in the garden called the covenant of commencement, or Covenant of Works. When Adam breaks this covenant, God pronounces a curse on Satan (Gen. 3:14-15), the man and the woman. It should be noted that God’s redemptive purposes in salvation are directed to the serpent demonstrating His supremacy that the power of darkness shall not overthrow the power of God to save fallen men. Two genealogical seeds shall spring forth from this junction: the seed of the woman, by which God will save men, and the seed of the serpent, those left in darkness and under the dominion of the serpent. The woman is cursed in bringing these children in to the world, though god will redeem them. She is also cursed to desire, or have dominion, over her husband, but her husband must not allow this, and rather, rule over her. The man is cursed in that he was created to rule the earth, but now, the dust of the earth shall rule him in his sweat and toil upon it. With Adam and Eve the two lines or seeds are seen, and in the next covenant with Noah, the unfolding of these lines is demonstrated. Four passages explicate the nature of the covenant with Noah – Genesis 6:17-22, 8:20-22, 9:1-7 and 9:8-17. In this covenant, God binds together His purpose for creation and redemption. Though God is going to redeem and preserve creation, the peculiarity of grace is also seen with Noah in that he and his family alone are saved, and the rest of the earth perishes. God saves Noah in a covenantal relationship that is founded on the family. Here, the family is preserved and will become the redemptive focus of God’s plan through successive ages, and into the age of consummation. Though God does press home the focal point of family, He also engages all of creation which benefits from the covenant God makes with Noah; this is seen in the repetition of the expression “all flesh.” This covenant that God cuts with Noah is exceedingly gracious as emphasized by the rainbow (the warrior bow of God) that does not point down to man but up to God. Here, it is as if God is saying that if He breaks covenant with Noah, and with creation, He will reap the consequences of His own malediction. In these passages, though, both God’s gracious character in saving people by covenant families, and His wrath poured out by the flood upon the wickedness of the seed of the serpent, are clearly present. With Abraham, God makes a covenant of promise. Here God dictates the terms of His gracious covenant in families, and through the promised seed. God passes through the pieces of the animals that Abraham arranges in his deep sleep and vision, in order to “cut” the covenant and swear by Himself. By the immutability of His promise this continuation of the Covenant of Grace will be upheld. God binds Himself to the creature in a blood-oath that ratifies the divine promises as sure. Not only is this a critical point in the heralding of redemptive history in many aspects, but the future New Covenant rests on the reality of the Abrahamic promises as referred to by both Jeremiah (chapter 31-34) and Hebrews (9:15-20). The death of the testator, who is Christ, activates the provisions of God’s will in His promises. Jesus Christ fulfills the Abrahamic promise and sets in real time the fulfilled covenant testated by His death. Circumcision is the seal of the Abrahamic promise given to Abraham and his offspring as seal in their flesh of the covenant of God. Circumcision symbolized regeneration (or the need for cleansing and its process) and it symbolized inclusion in the covenant community of God. Circumcising the foreskin of the male organ did this. The propagation of the seeds of men demonstrates the particular interest God has in placing such a sign on the procreative organ of the male. It is not simply a national badge of covenant inclusion, but a symbol of regeneration needed in all those for whom it is administered. It has no real positive value unless it is joined to the true righteousness that is represents and is fulfilled in the death of Christ. Those who are regenerated in Christ are seen as spiritually circumcised. This is the circumcision not made with hands, and since it is a partner to cleansing, the proper role of baptism’s symbolic union with Christ is seen as the fulfillment of circumcision in the New Testament. The Mosaic Covenant is the demonstration of the resurgence of the Law given to Adam in the Covenant of Works. It takes on the role of the suzerain Hittite treaty forms. It serves as a single mode of administering the Covenant of Redemption as Law. It is an external summation of God’s will and God’s Law. It is the under-girding covenant stipulations that demonstrate true obedience for any who wish to receive eternal life. Fallen men cannot keep this law and need a Mediator, which is the purpose of its resurgence in the Mosaic economy – it points us to Christ. It is the scaffolding that will be ultimately fulfilled when the Savior dies, and substantiates the reality of the Law Covenant. The Christian, then, is not freed from the Mosaic Law since it is a reflection of the character of God. Rather, the Christian is lead back to the Law by the hand of Christ and helped by the power of the Spirit to keep it. The hand of God in accordance with his Law chastens Christians who continue to live in unchaste ways. Even when they reach heaven, the Law, based on their rewards, will judge them according to their works. In any case, the Covenant of Law is consummated in Jesus Christ and is upheld by Him in the fulfillment of His work on behalf of the elect. There is need to pause here to determine whether the Bible speaks of dispensations, as in Dispensational theology, or in Covenants, as attributed to Covenant Theology. Dispensationalism has desired to overthrow the covenant structure in recent years and thus the question is important. 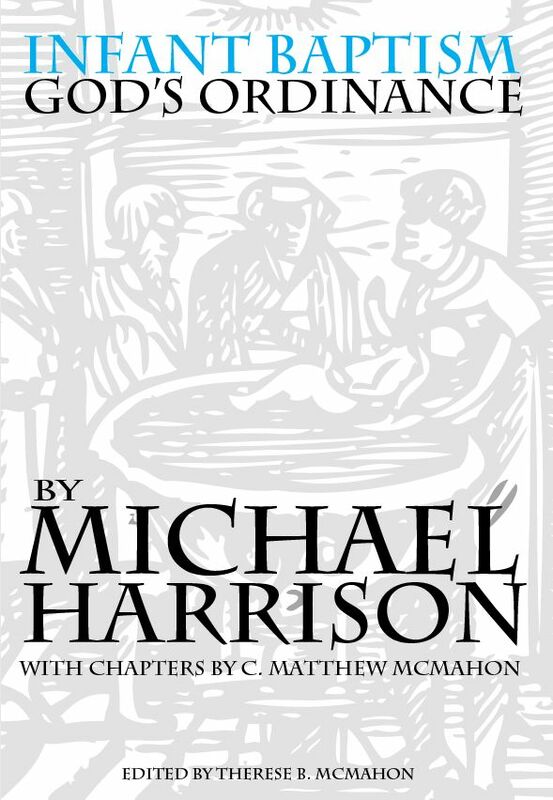 Dispensationalism, as outlined by men like Charles Ryrie, see Adam’s covenant as “a dispensation of innocencey” under a “simple test.” They reinterpret the Covenant with Adam after the fall as the “dispensation of conscience” and do away altogether with the Covenant of Redemption (which is clearly removed as a concept in the Scofield Bible). Next is the dispensation of human government, not the Covenant with Noah. The dispensation of promise is then seen with Abraham, and moves into its twofold aspect to God’s dealing with men: one an earthly travail with the Jews, and one a heavenly promise ultimately to those who trust in Christ. The dispensation of Law then follows, setting up the Jewish nation distinct form the church. The covenant of the Kingdom with David is lacking in dispensational theology, and they rather mix this concept into the Mosaic institution through the entire history of Israel. In the New Covenant there is the dispensation of Grace, which the Jews reject, and the church is then established aside from the Jewish nation. Lastly comes the dispensation of the fullness of time in which the millennial kingdom will be set up with Christ as the head for one thousand years. Dispensational theology, though, represents an arbitrary imposition on the biblical order and creates a human design that is not structured in the Scriptural history of God’s redemptive work. With David, the Covenant of the Kingdom reaches it culmination as far as it can in Old Testament history (2 Samuel 7; 1Kings 2:1-14; 1 Kings 8-9. To this point we find God imposing a type of rest on the people of God in waiting for the Messiah to come to consummate the covenant of Grace. There are two pivotal promises given in this covenant. One is given to David and the other is given in respect to Jerusalem. David’s lineage will sit enthroned on behalf of Israel. Secondly, the central aspect of worship and rule find their fulfillment in Jerusalem, the city of God. It s conditional nature on obedience is seen through the entire history of the Kings, but is founded upon the faithfulness of God to uphold the Davidic line – something they could not do without His help. In Christ Jesus the covenant of Grace is fulfilled, or consummated. Christ represents not only the deliverance of Israel, but also the judgment of the coming King to bring forth the righteous rule of God on His people who have been wayward. Both themes of judgment and grace are wrapped up in the consummation of the coming Messiah who brings the Holy Spirit in a baptism of fire. In the coming King the eschatological dimension of the Abrahamic covenant and the prophecies of the Old Testament come to light. The everlasting nature of those prophecies and covenants are seen in their present realties in the death and resurrection of the Messiah who expiates the sin of His people and propitiates the wrath of God on behalf of them for eternal salvation. The covenant of Jeremiah 31 especially demonstrates this eschatological continuity into fulfillment, its expectation of consummation upon the return of the Christ, and the end of the fallen dimension of sin. In the new kingdom all will know the Lord, from the least to the greatest. The form of the Old Covenant passes away but the promises of the covenant are fulfilled in Christ. Types, shadows and ceremonies have no use in the fulfilled covenant. The promises to the covenant community are fulfilled and their future community of bliss is established. The actual oneness of the redeemed sinner with God is the final expectation in the New Covenant that is consummated and ratified in Jesus Christ.